Sustained offensive operations, pre-emptive air strikes by the Nigerian Air Force and routes blocking by ground troops, all geared towards constricting and snuffing out the Boko Haram terrorists, are strategies that have forced some terrorists to willingly surrender, the spokesman for the Nigerian Army, Colonel Sani Usman, said in a statement on Sunday. He said many more were willing to surrender, but did not give the number of the terrorists that had surrendered. “Many of the terrorists that willingly surrendered painted images of mass panic and hysteria among their erstwhile colleagues who are feeling the noose tightening on their necks with the relentless efforts of troops and renewed vigour in operations inspired by the personal leadership of the Chief of Army Staff,” the statement further read. Mr Usman said that the terrorists also seemed to have “an inkling of what happens to surrendered suspects, as regards screening and deradicalisation of innocent ones among them”. He said that the Nigerian Army in conjunction with the Nigerian Air Force and other security agencies would continue to devise and implement effective strategies to bring Boko Haram terrorism to a speedy end. “It will also continue to receive surrendering suspects and assures innocent ones among them that surrender is the only option open to them,” Mr Usman stressed. 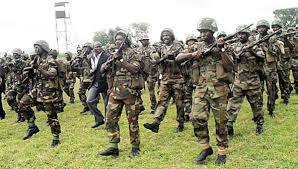 The Nigerian Army also commended Nigerians for providing the troops information that had aided their operation and emphasised that more information and support were required to ensure quicker obliteration of the Boko Haram scourge in the nation’s north-east. President Muhammadu Buhari had last month given the Nigerian Armed Forces three months to end the insurgency in the north-east.